Hi friends! 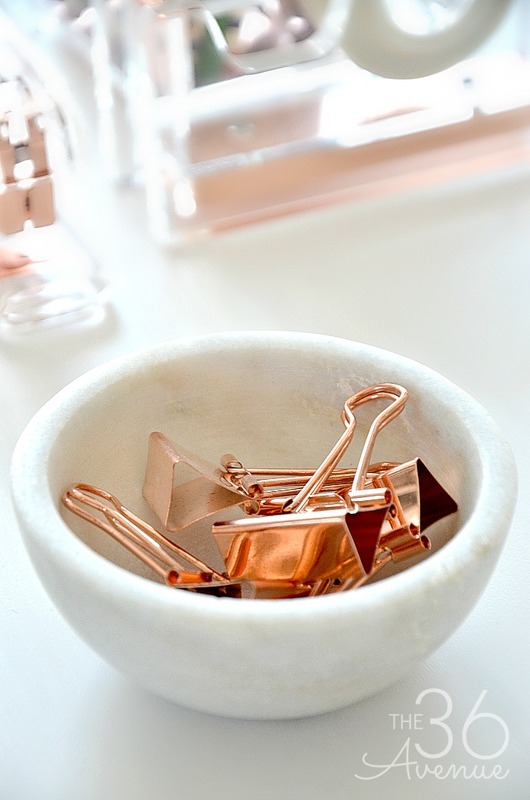 I’m in love with Gold Rose and Copper. 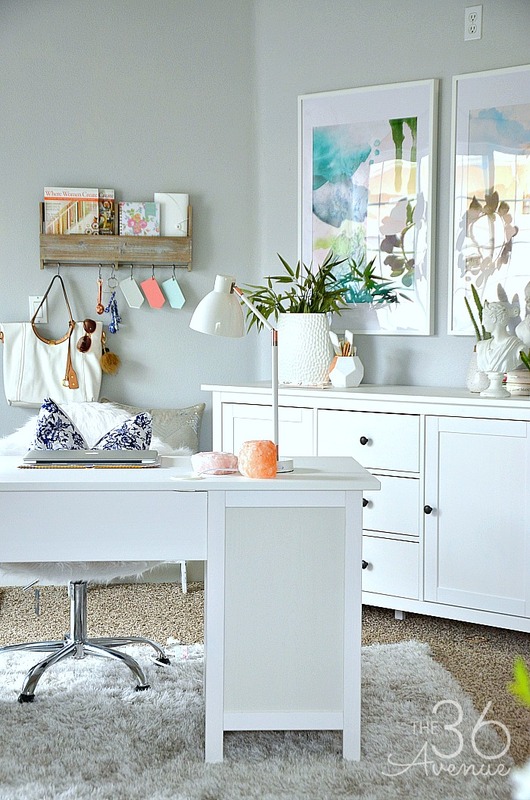 As you know last week I shared HERE part one of my office makeover. 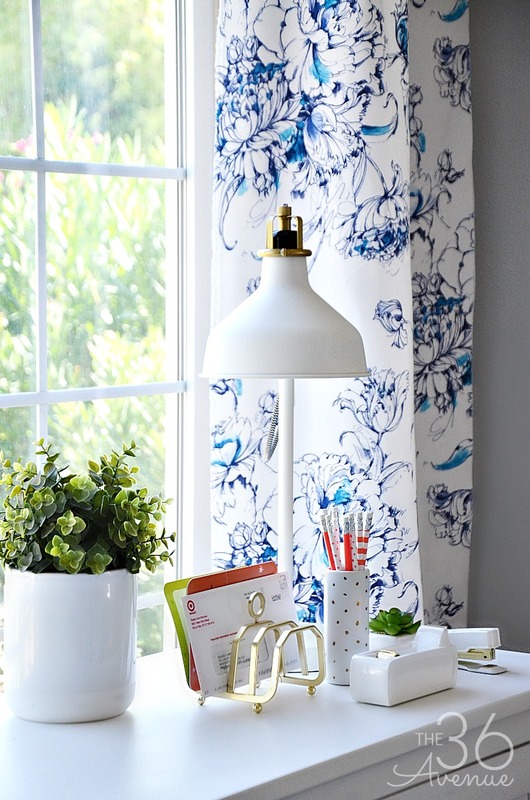 Today I want to show you some adorable office accessories that I’m using for the other half of the room. 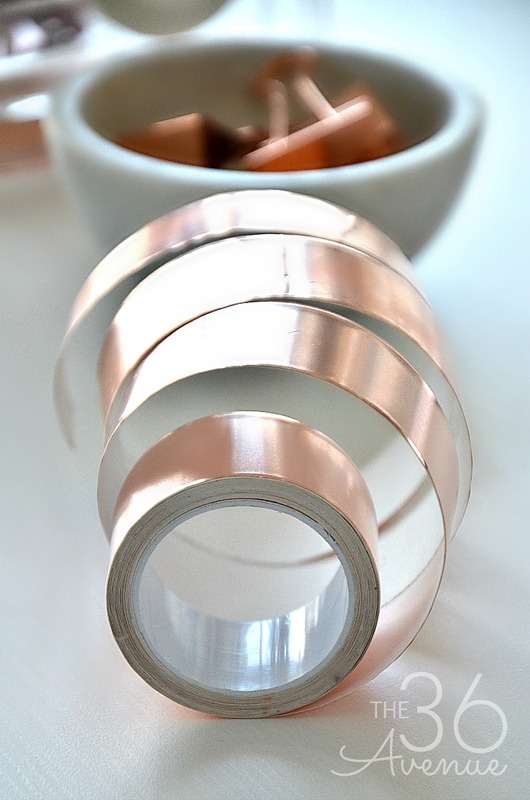 One of my new obsessions is copper tape. How you ever used it? This thing is amazing! I love how fast and easy you can change the look of things with this tape. 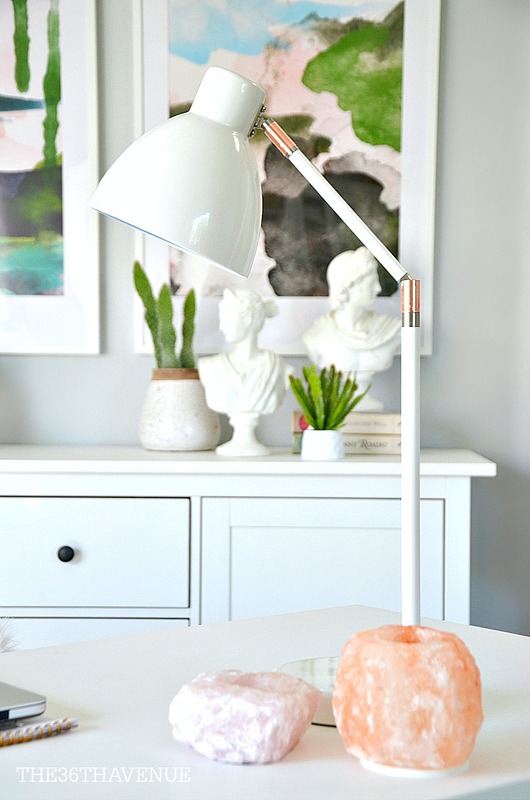 In just seconds I gave my desk lamp a quick makeover and I’m loving the new look and how pretty it looks with the other copper accessories in the room! One of the first things I got for my new office were these desk accessories. 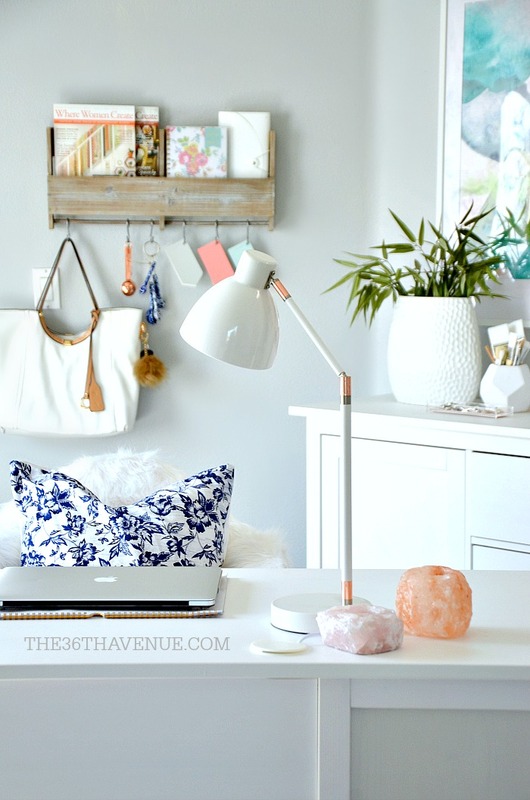 I wanted to get a copper lamp BUT everything I found was either super expensive or not the style I was looking for. Then I found the perfect lamp at Target but all the silver hardware didn’t really look quite right with the rest of the room. 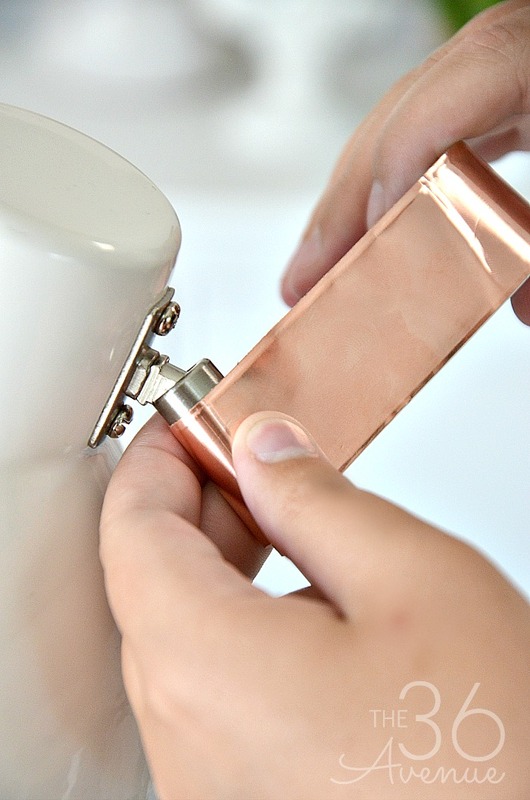 This is when I remembered my copper tape! You can find the tape HERE. 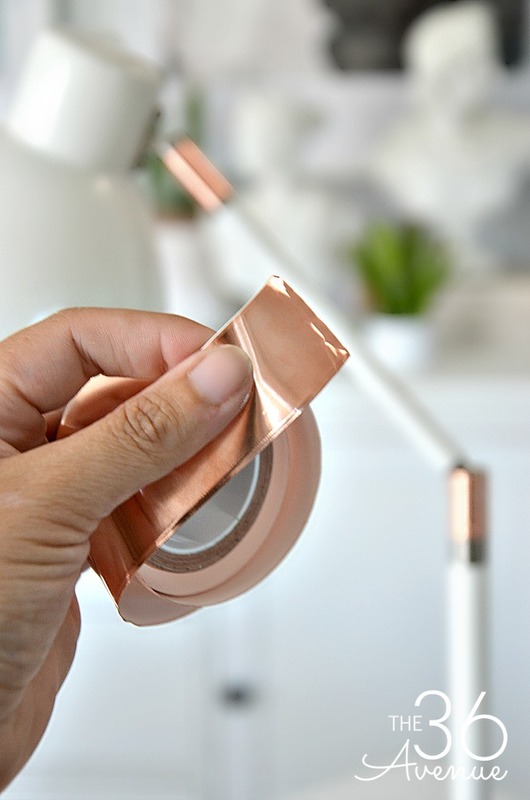 All I did was measure and cut enough tape to cover the three areas where I wanted a touch of copper. Then I peeled off the backing paper and placed the tape where I wanted it! 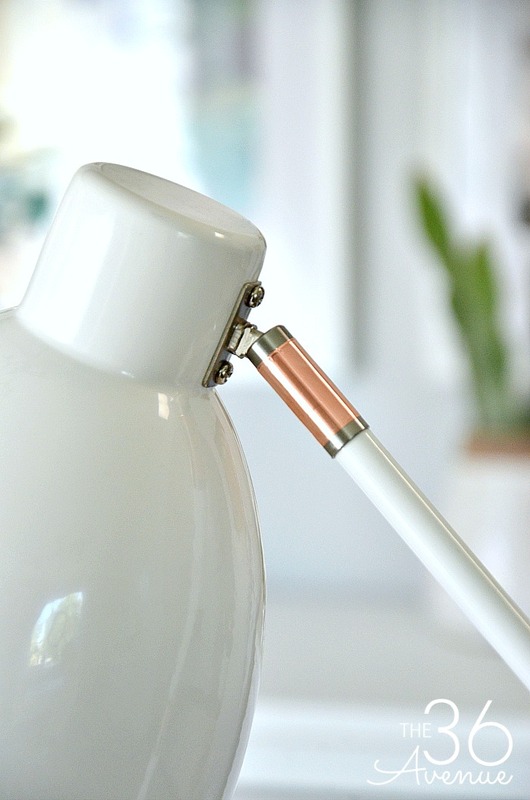 I love how perfect the end result is… It’s like the copper was always there! 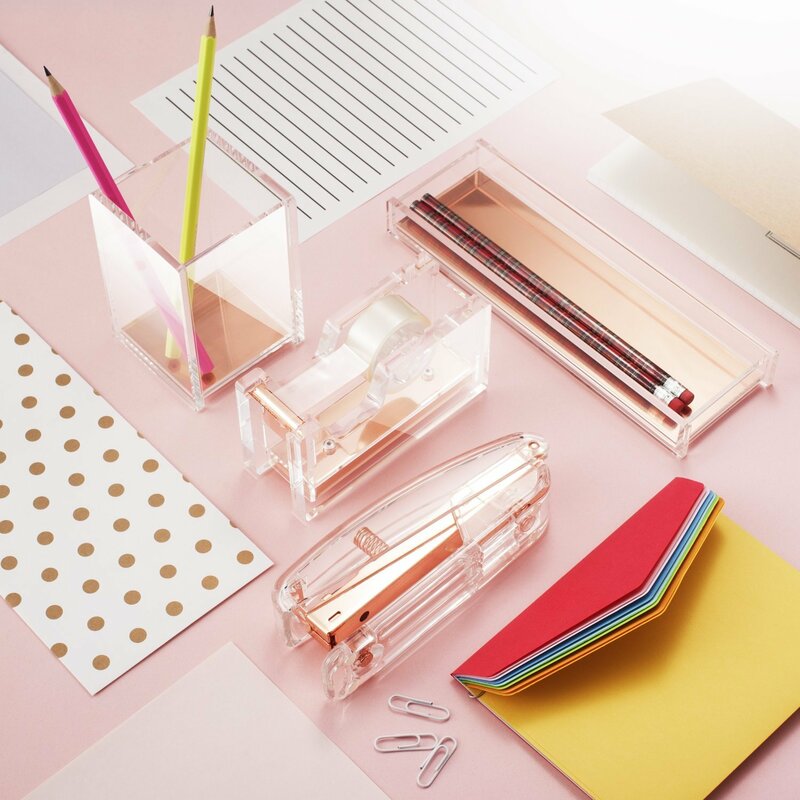 So easy and perfect for my desk! Seriously! I love this thing! 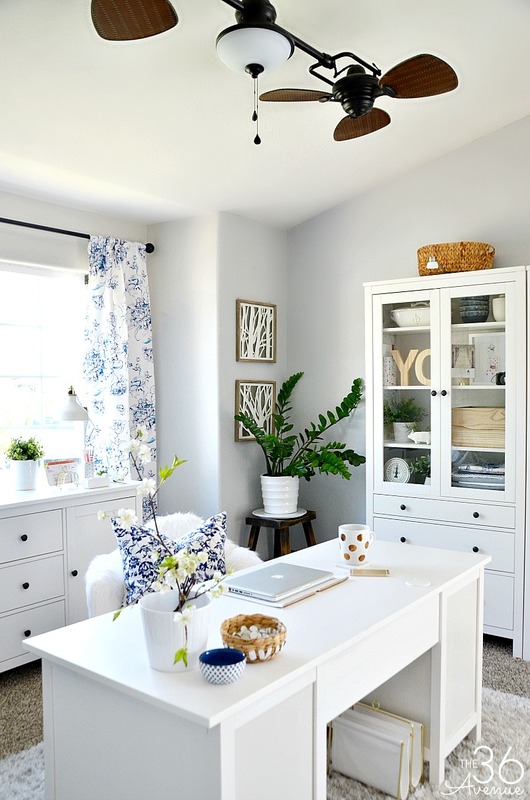 I will be back later with the final pictures of this side of the office but make sure you click HERE to see the other finished half of the room! This side is all about gold! 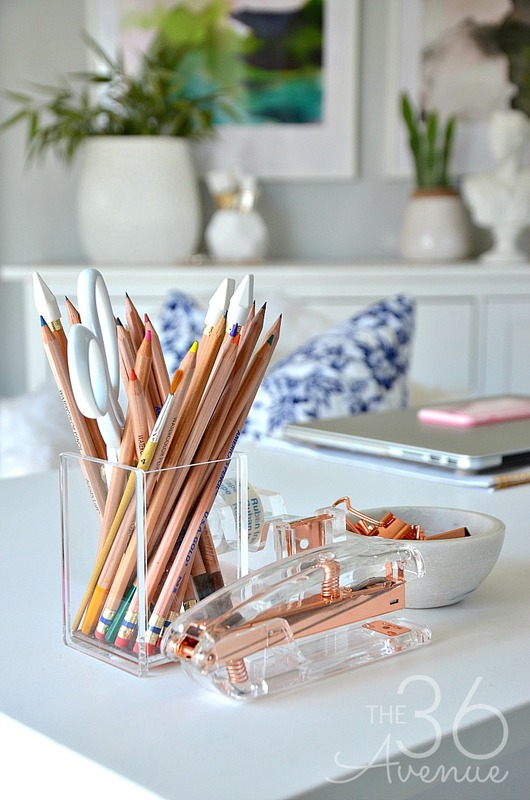 Before you go here are some other Copper and Home Decor Ideas that I love! Make sure to subscribe HERE so you don’t miss a thing!